Marketers are often asked to come up with the next big thing; however looking into the future isn’t always easy. One way I have got round this is to ‘ask’ someone who is better at predicting things then I am – a science fiction writer. And who better than Gene Roddenberry? Michael Cooper is another innovator who drew his inspiration from the same source. After serving in the US Navy, Cooper took a degree in Electrical Engineering at the Illinois Institute of Technology and then joined Motorola where he worked on pagers and then car phones using cellular technology. At this point in time, car phones were ‘mobile phones’ only in the sense that they moved when the car did. By the early 1970s Cooper was getting worried that Motorola’s great rival, AT&T was gaining a lead in car phone technology. One night he was watching one of his favourite TV shows, when inspiration struck. 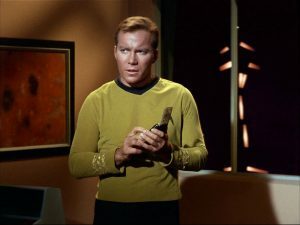 Seeing Captain James T Kirk using his communicator to call the Enterprise he had an idea. Could they develop a handheld mobile phone and leapfrog AT&T. From having the idea, Cooper and his team took only 90 days to create and build the portable cellular 800 MHz phone prototype. 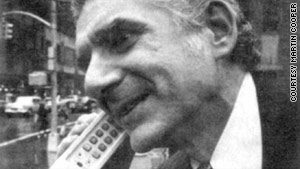 On April 3, 1973, on Sixth Avenue in New York City, in front of a group of journalists Cooper made the first public phone call from their prototype handheld cellular phone. No, he decided that it was too good an opportunity to miss and decided to call Joel Engel. Engel was head of research at AT&T Bell Labs and Cooper called to tell him all about their new invention. And the moral of this story is that innovation can be inspired by fiction, not just fact. Who will you read or watch to get your next big idea? Probably the drink most associated with the launch of something is champagne, so you would perhaps expect that the opening of the Eiffel Tower would have been toasted with a glass of the bubbly stuff from the North East of France. 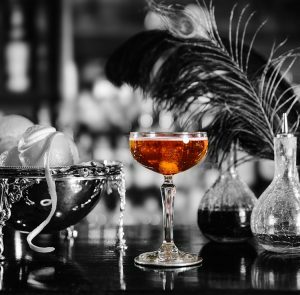 You would however only be half-right because on the night of 31st March 1899 when the Tower was opened, as one of the temporary exhibits of the Universal Exhibition, only one drink was served, but it was a cocktail of champagne and Courvoisier cognac. 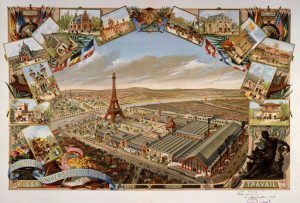 Courvoisier went on to be awarded the Gold Medal at the exhibition and the Tower proved so popular it became a permanent feature on the Parisian skyline. Courvoisier was, and still is, immensely popular in France. It is linked with other key moments and figures of French history but perhaps one in particular stands out. The brand had originally been established in the suburb of Bercy in 1809, by Emmanuel Courvoisier and Louis Gallois, then the mayor of Bercy. Courvoisier began life as a wine and spirit company but Emmanuel and Louis’ reputation quickly grew as the traders of the very best cognacs. The pair decided that if they were going to build on this success, and to guarantee their supply of the finest cognacs, they should relocate to the region itself and become producers. In 1811, a famous fan visited the brand’s new home. 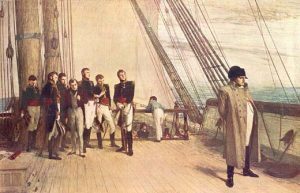 His visit was captured in a painting by Etienne Bouhot. The fan was none other than Napoleon Bonaparte. Even after his defeat at the battle of Waterloo the connection to Napoleon continued. Exiled to the remote island of St Helena, in the Atlantic Ocean, legend has it that he was allowed to choose one item of luxury to take with him. It is said that he chose several casks of his beloved Courvoisier cognac and that one day, after dinner with the English officers on board HMS Northumberland, he treated them to a taste . The English officers loved it and christened it, ‘The Brandy of Napoleon’. The link remains and is commemorated in the brand’s logo which features an outline drawing of the Emperor. Whether the producers of the BBC Radio 4 show “Desert Island discs”, where the hypothetical castaways are allowed to choose an item of luxury, borrowed the idea from the British navy’s courtesy to Napoleon, I don’t know. Neither do I know if anyone has actually chosen Courvoisier as their item of luxury. What I do know is that I can thoroughly recommend the Courvoisier and champagne cocktail, though perhaps not first thing in the morning. Manish Sharma is a man who recognises that brands need to be the same but different. Not for him is the rigid belief in absolute brand consistency but rather an understanding of the benefits of a looser brand coherency. 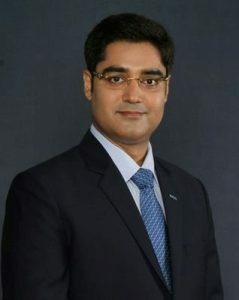 Sharma, the President & CEO of Panasonic India wants to remain true to Panasonic’ s global vision but at the same time recognises that this has to be tailored for his market and its particular quirks. “Our commitment at Panasonic is to provide a ‘Better life’ for our consumers and contribute to creating a ‘Better World’ around them. The requirement of our audience differs across geographies and therefore technological solutions have to be customized to the local environment. With this philosophy we intend to provide solutions that are made in India for the Indians, across business and consumer sectors. Panasonic’s new Stainmaster washing machine is one example of Indovation in action. Recently launched it has a special wash cycle to tackle curry stains. 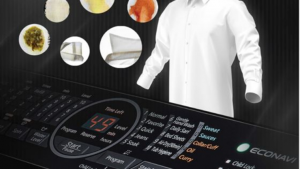 Panasonic found that existing washing machines on the market were failing to fully get the food off their clothes, which was leading to customer complaints and was slowing market growth. 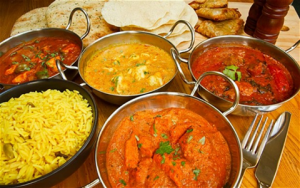 Panasonic set out to solve the problem, looking at the specific stain-making ingredients in curries and testing hundreds of different combinations of water temperature and water flow. It took them two years to establish the optimal time and water temperature required to remove the stains. Having identified and solved the curry problem, Panasonic also considered other local tough cleaning challenges. So, as well as the curry option, the machine has five other special including one to remove traces of hair oil. Currently only about 10% of homes in India have a washing machine, with most people still doing their laundry by hand. South Korean manufacturers dominate the market, but Panasonic hopes its new button will both help grow the market and win it share, despite their machine carrying a 10% price premium. Footnote: McDonald’s famous for how consistent its offer is around actually allows for local variation. Perhaps not too surprisingly, there isn’t any beef on its menu in India and as famously discussed between John Travolta and Samuel L. Jackson in Pulp Fiction the Quarter-Pounder with Cheese is known as the Royale with Cheese in France.